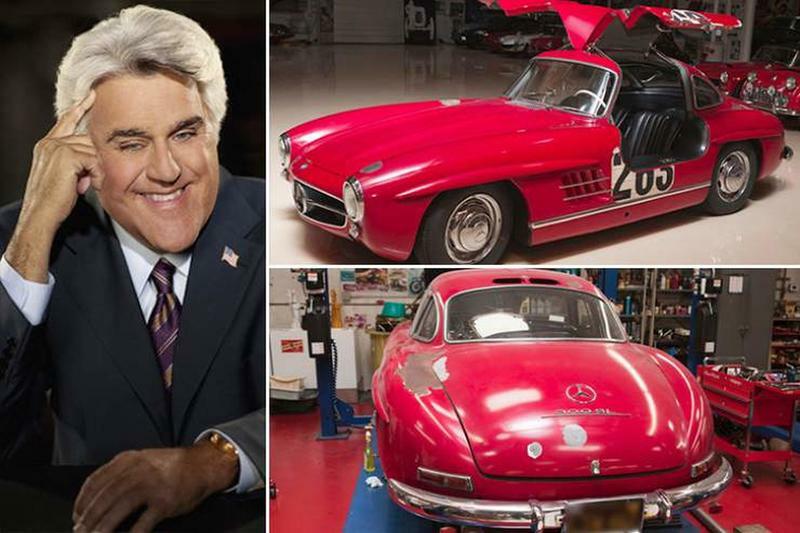 Jay Leno is famous for two things: being one of the faces of American television, and having a ton of cars. His collection consists of at least 130 cars, in addition to 93 motorcycles. Leno is worth upwards of $350 million. Of his many, many, many very, very, very expensive cars, this one is the priciest. It's a 1955 Mercedes 300SL Gullwing Coupe. Its estimated value is $1.8 million.